DUE TO WEATHER PREDICTIONS AND THE WINTER ADVISORY, THIS LECTURE HAS BEEN CANCELLED FOR TONIGHT! THIS LECTURE HAS BEEN CANCELLED FOR TONIGHT! It will be rescheduled at a later date. Birds and bird imagery filled the world of the ancient Egyptians. Every fall, the arrival of millions of waterfowl in the Delta marshes coincided with the Nile flood. The Egyptians saw in these natural and cyclical events a symbolic reenactment of the moment of creation when, according to some versions of the myth, a divine goose laid an egg on the first mound emerging from the water. From this egg hatched the sun god, who flew high in the sky and created the other gods and humanity. In addition to presenting how birds, from cradle to coffin, permeated most aspects of Egyptian society, Bailleul-LeSuer will discuss the work she has conducted and is pursuing on a selection of bird mummies held in museum collections. Using medical imaging and scientific analyses to complement findings from ancient texts and artifacts, her research aims at shedding some additional light on the phenomenon of Sacred Bird Cults, in which these mummies played a significant role. 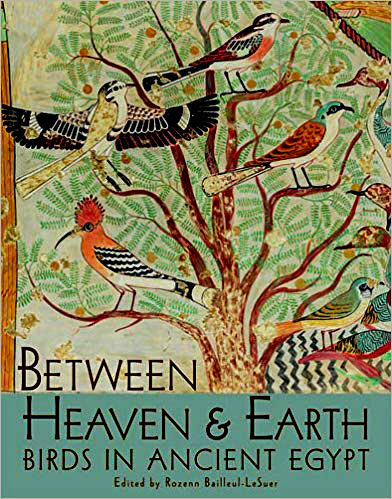 With her expertise in this unique field of study, Bailleul-LeSuer has edited the book, “Between Heaven and Earth, Birds in Ancient Egypt” which was published by the Oriental Institute of the University of Chicago in 2012. For more information, visit https://gcchistoricalhorizons.wordpress.com/ or contact Marketing Communications Associate Director Donna Rae Sutherland at (585) 343-0055 ext. 6616, or via email: dsutherland@genesee.edu.